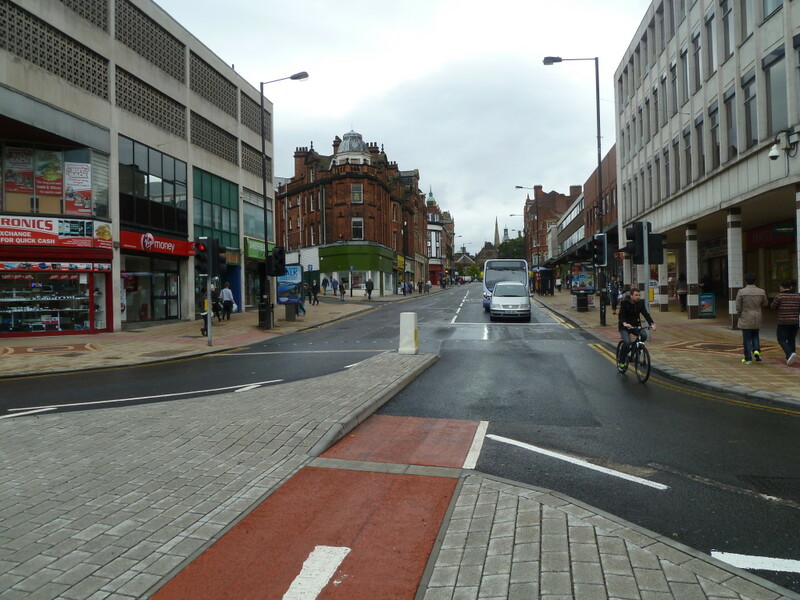 About a year ago I highlighted a problem with a new cycle facility in Sheffield. A cycle lane which allows cyclists to turn right at a normally left turn only junction. This video shows the problem, there just isn’t enough space for a large vehicle and a bicycle to use each lane at the same time. This junction was subject to a safety review which found that this part of the design wasn’t safe an needed to be changed. The outcome of this was to change the layout and this finally happened in the past month. The chosen solution has been to remove the cycle lane approaching the junction. The junction is safer now, but the opportunity has been missed to really improve this junction. 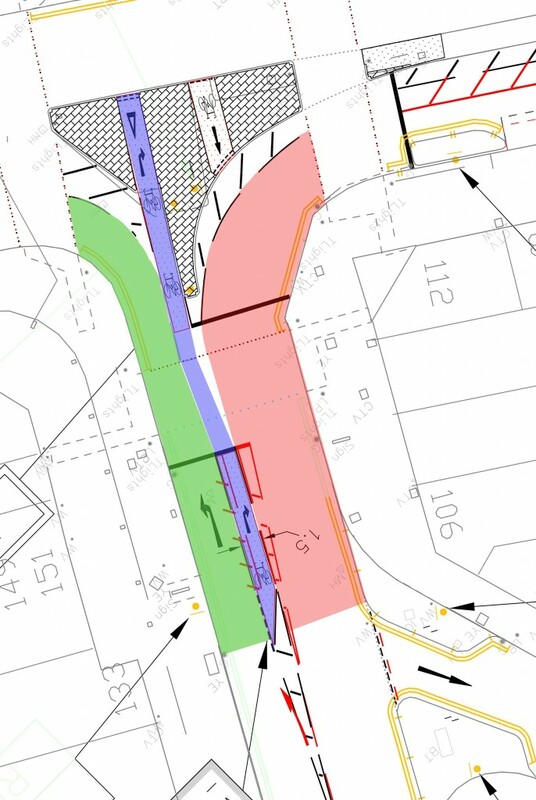 There is enough space in the road to narrow the opposing carriageway and move the cycle lane further out – this was an option presented in the road safety audit. Ideally move the cycle lane northwards so that it enters the island more centrally (i.e. where the current nib of the island is) so that a turning bus does not encroach into it. But an alternative was offered. This is the solution that was chosen. 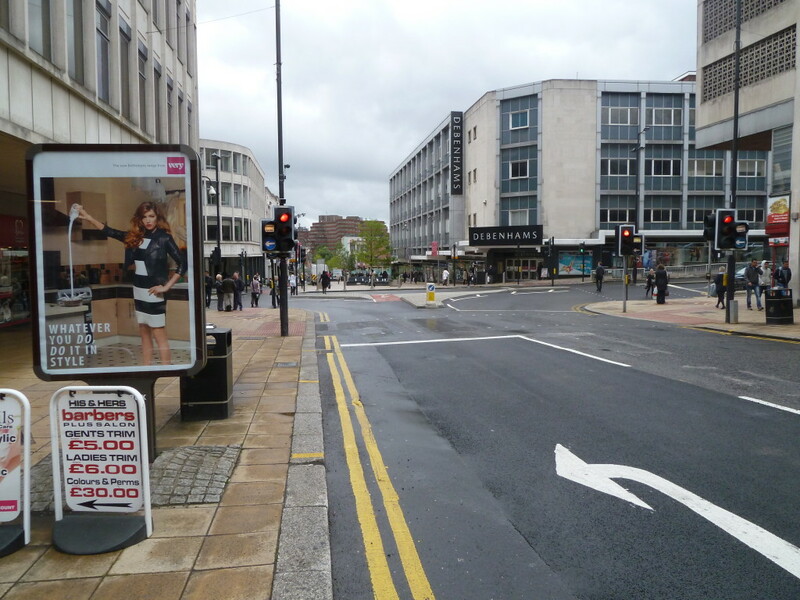 If a cycle facility in Sheffield is dangerous, it gets removed rather than fixed. Of course, there are much better solutions for right turning bicycles. We could have created a segregated cycle track on the inside of the traffic, controlled it via a traffic light and routed bicycle across the junction at the same time as the pedestrian phase. This removes the need to move into the centre of the road to make the right turn. Examples from The Netherlands from Bicycle Dutch are here and here. This entry was posted in Uncategorized on September 17, 2013 by Matt.